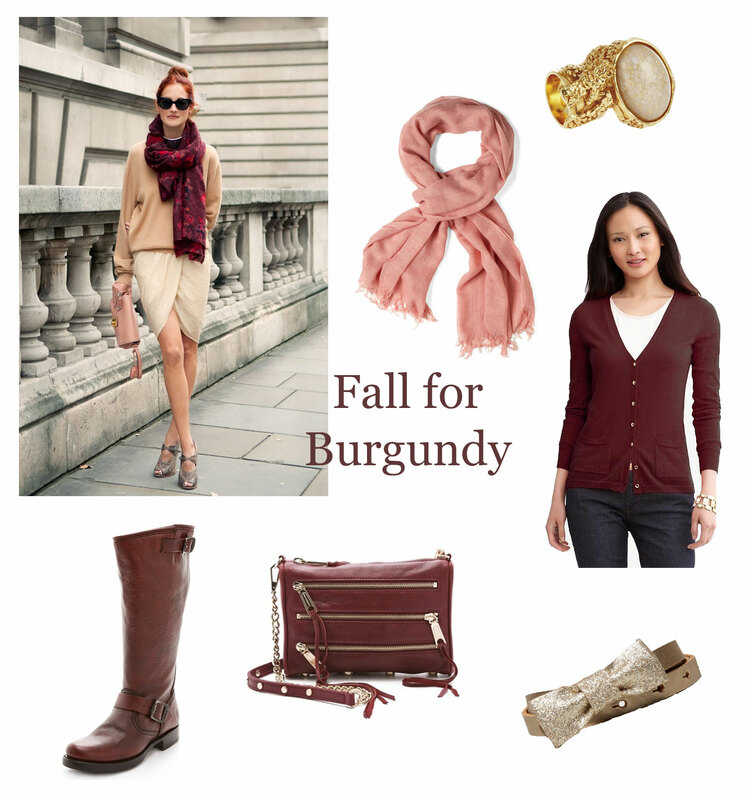 This Fall, Burgundy is taking over wardrobes everywhere! You’ll see it in handbags, cardigans, jeans, blazers, shoes, makeup, etcetera. Above, I chose some of my favorites and what to pair this bold color with. Burgundy looks great accented with creams, light pinks and browns. My Picks: Pink Scarf $21.99// YSL Arty Ring $290// Banana Republic Cardigan $42.99// Frye Boots $328// Rebecca Minkoff Mini MAC $195// AEO Glitter Bow Belt $19.50. Ohhh I love how big burgundy and mustard are this season. Favorites this fall. LOVEE burgundy for the fall! that bag is to die for!